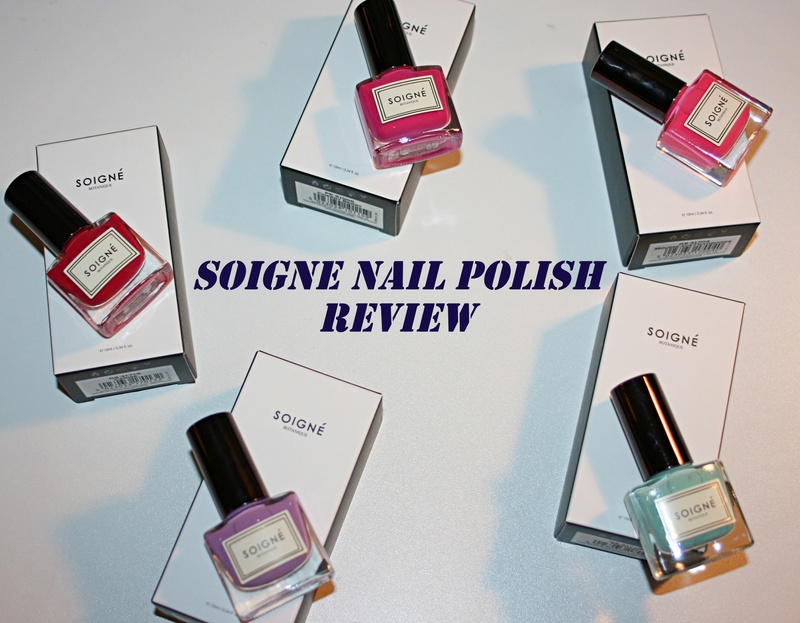 During the post-christmas sales, I found myself scrolling through the Soigné website and looking at their amazing nail polishes. As most of the colours were half price, before I knew it I had already placed an order and was eagerly awaiting the parcel to be delivered. Lucky for me, they arrived just before I left for London, so I had time to open the parcel and admire the colours. I tried to pick colours I knew I was going to wear, as I recently cleared out my nail polish collection from the odd greens to the random oranges, it was time to start building my collection again with colours that wouldn’t be wasted. I picked up 5 shades, and decided to do a little review of them with some swatches so you can see exactly what they are like and my thoughts on them. This is such an unusual purple and I really like how vibrant it is, its application is perfect. With a base coat and two coats of this on top, it was opaque and the colour really popped on my nails, this is my favourite shade of them all because it is unlike any other shade of purple I own. I saw this colour on EsteeLalonde in one of her recent videos and I fell in love with how bright this baby pink colour was on her nails and knew I had to purchase it. But, I was really disappointed by this colour, the colour itself was a really nice version of a baby pink. 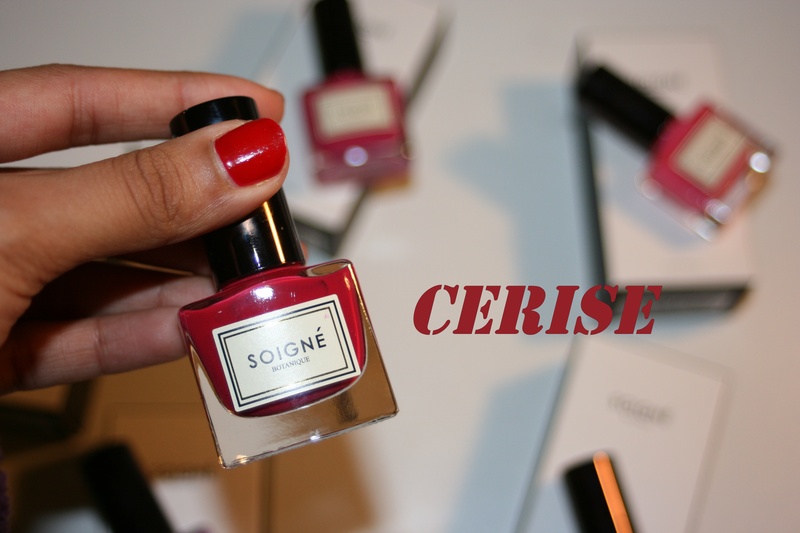 However it was really sheer and honestly for a brand this big and hyped about, I was really disappointed with how it applied to my nails. It was more of a ‘wash’ rather than a solid colour, even though the colour itself was such a nice one, the sheer-ness of it ruined it for me and I haven’t reached back for this colour again. Okay dokes, this is such a cool colour for me and one I wouldn’t usually wear or go for, but I wanted something different and this is definitely different, the best way to describe it, is as a muted mint green. It’s one of them colours that I always find myself going for a second glance at when it’s on my nails. This colour is my favoruite colour to wear during Autumn/Winter time, it’s a true burgundy and was definitely more of a safe buy for me, because I knew I’d love this colour, it had amazing application and lasted the longest out of all the polishes I bought. This is a really nice pink colour, it is a bright pink, tbh I’m completely confused as to why this is called ‘Cherry Berry’, the overall colour is really cute and vibrant. My overall view of these polishes, is that the brush itself was amazing and in turn aided a nice application of colour. 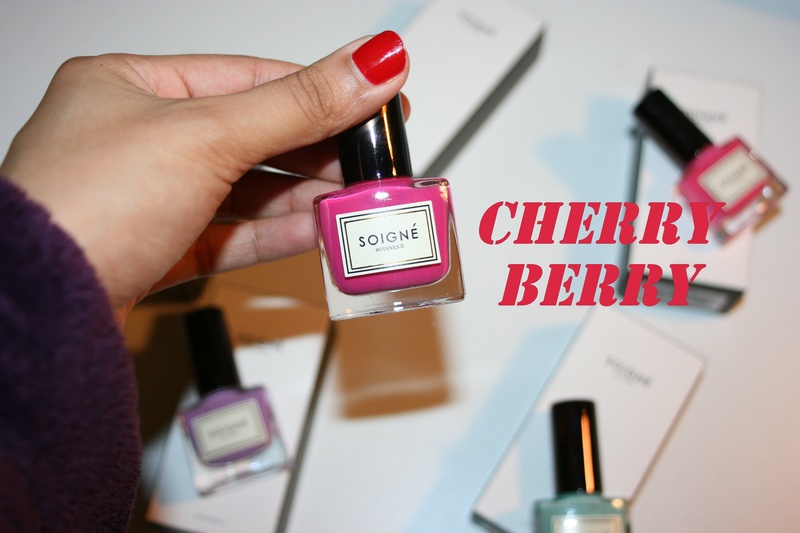 The only colour I was disappointed in was the 2nd colour, but other than that, I was really happy with my purchases, these are such a good brand for nail polishes and they really last for a long time! You know if a nail polish is good if they take a lot of effort to take off with nail polish remover, and these are tough! I’m really happy with my purchase and hope to try these again in the future!